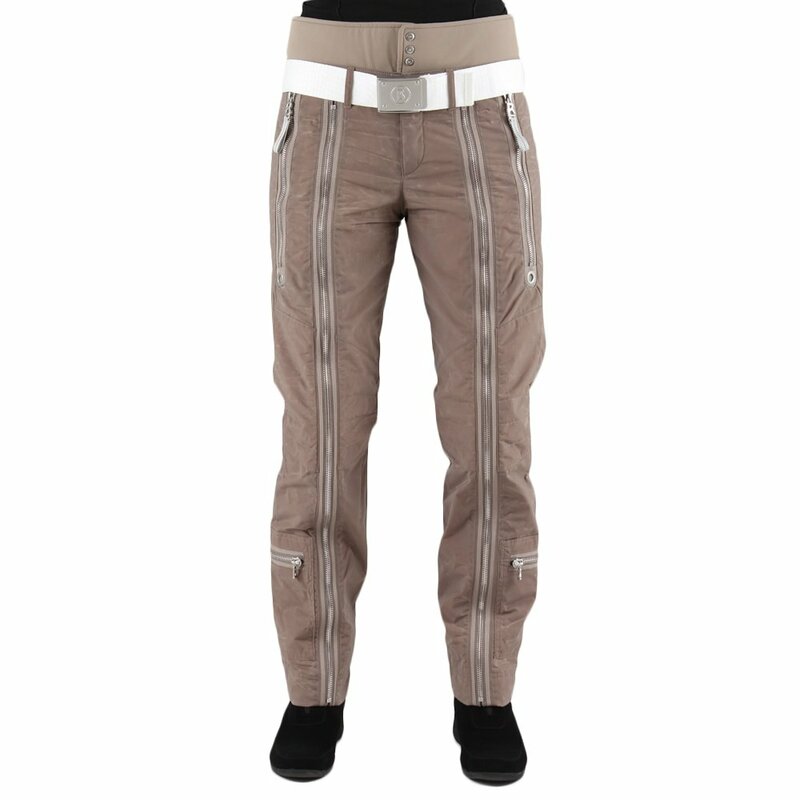 Brimming with detail, the Bogner Zippa Women's Insulated Ski Pant has a unique rock-and-roll inspired look that's sure to turn heads. Featuring full-length zippers down the front of the legs, an innovative two-layer oil finish on the fabric, and four functional pockets with metal zippers, and a target logo with metal B on the back pocket, the Zippa is anything but ordinary. Just as functional as it is fashionable, the Zippa will keep you warm with 58g of insulation, and dry thanks to the 5k waterproof rating.